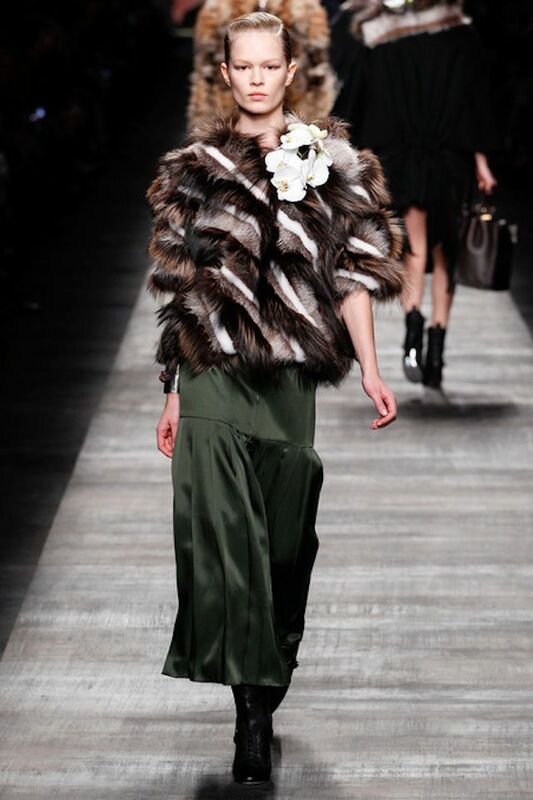 Futurism, pret-a-porter, punk and luxury: the new Fendi‘s era. 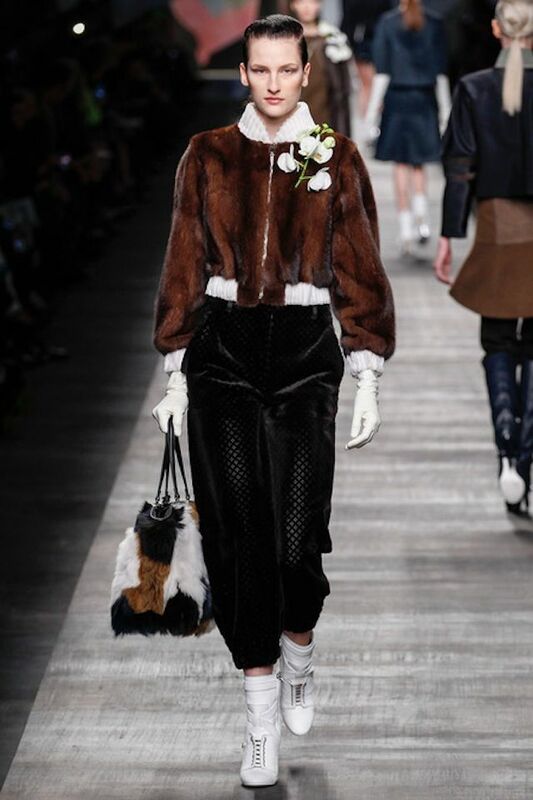 The model and It- girl of the moment, Cara Delevingne, made the kick off the Fendi runway, wrapped in a black and white outfit. 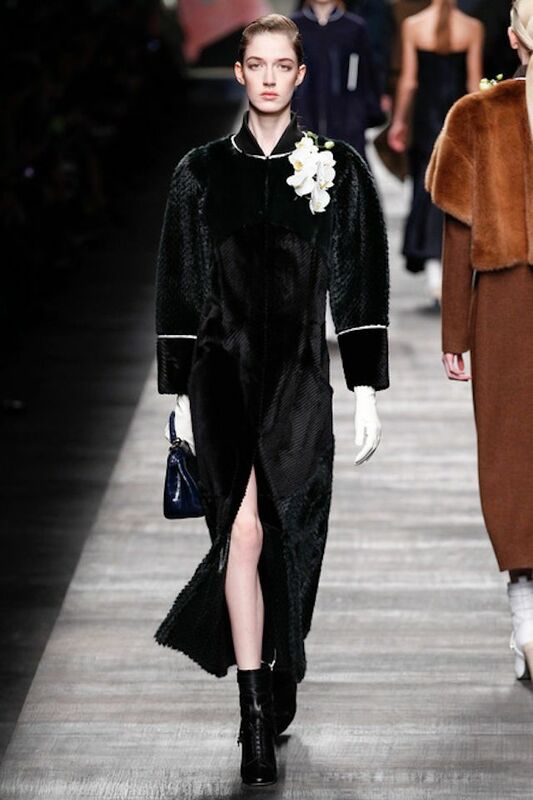 The fur, true essence of the brand, comes back to its most primitive rules and makes its appearance like unusual detail of blouses made of techo-fabrics, maxi coats, dresses and leather bags. 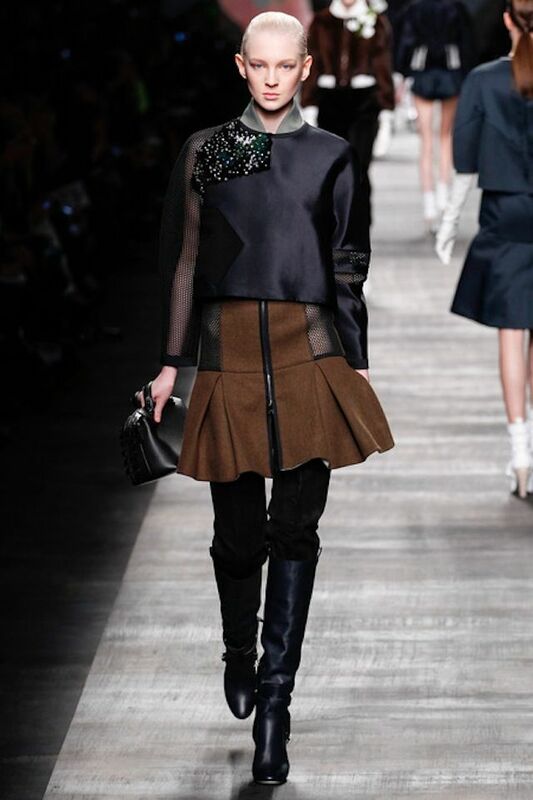 On the catwalk: long skirts, over-knee boots, varsity jackets, dresses with zip, bomber and pleated miniskirts. So many layers and overlapping, lots of textures like maps of starred skies over the dresses. 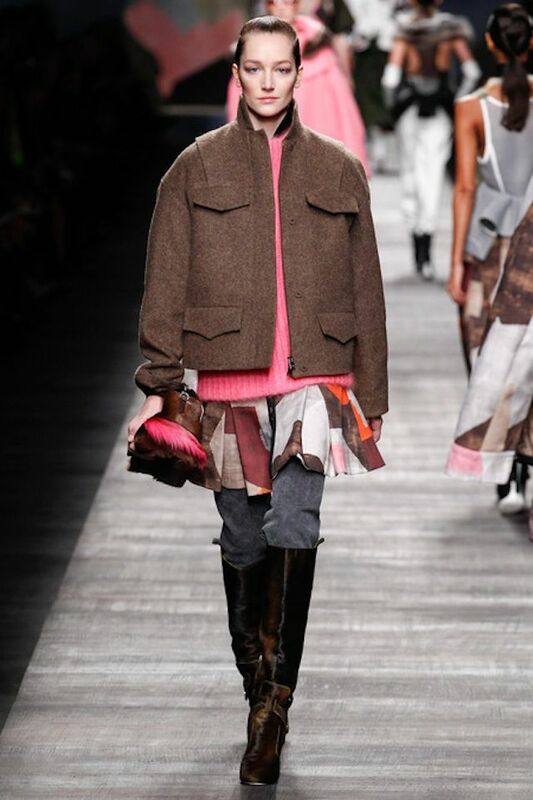 The contrasts glossy/matte made ​​even more interesting the contemporary cuts. 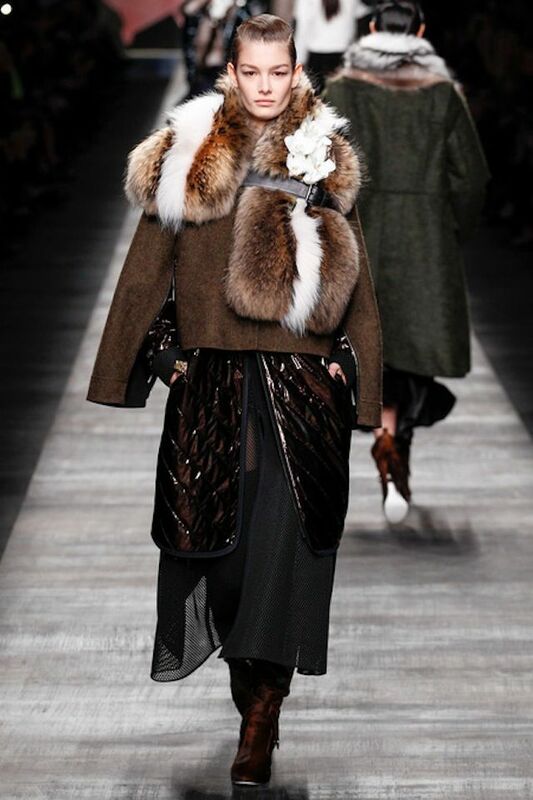 Transparencies, dates from the tissues to the network, have been put together in a fur patchwork patterns. Color palette was rather intense with white, black, brown, green and pink. Very fancy were the brooches made of white orchids. Fendi has looked to the future: some Drones with high-definition cameras, in collaboration with Google, have flow over the fashion show. The novelty has allowed those who could not attend in person at the fashion show, to enjoy it from home, choosing the shot that they preferred.